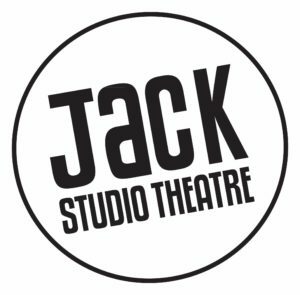 The richness and complexity of Tristan Fynn-Aiduenu’s play, ‘Sweet Like Chocolate Boy’, and the artistry of this new production at the Jack Studio Theatre is hard to describe. 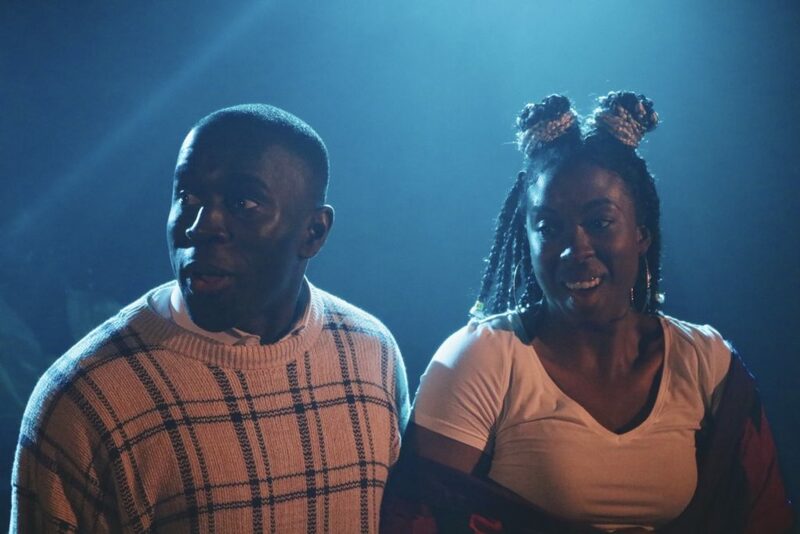 Based on two boys who live in the same London borough in different eras, he breaks down stereotypes and, with true understanding of character, takes us into a world of merging lives, reality, fantasy and music which celebrates how the growth of Black British culture in the 90s has made it what it is today. Mars is today’s youth. Street-wise, full of enthusiasm, imagination and confidence, he heads towards the girl of his dreams, only to be confronted by people who question his heart, head and vanity. Bounty is from the 90s. Quietly out of place in a politically electric climate, he wants and tries to be a part of the world he’s in. Andrew Umerah (Mars) and Michael Levi Fatogun (Bounty) give compelling performances, showing the strengths and vulnerabilities of their times – Bounty swept along by a powerful wave of Black identity, but unable to keep up and Mars living the strong cultural legacy of Bounty’s day, but struggling to find his own place. Fatogun also gives excellent portrayals as the policeman, ghost and, in particular, the frightening force of Fantasia’s dad as he challenges Mars’ feelings for his daughter. Umerah skilfully contrasts Mars with Bounty’s dad, Prophet (an American Black Panther type) and Bounty’s best friend, James, brought up to be the typical white racist of that time. Veronica Beatrice Lewis offers wonderfully colourful acting as the boisterous, self-assured Sandra who likes to tease Bounty’s meekness, the lovely, sincere Michele, Bounty’s first love and Fantasia, whose self-possessed nature Mars falls for. Fynn-Aiduenu’s direction captures the vibrant energy of both today and the 90s with language, movement and music creating their own moments of drama and humour. As we enter the theatre, the DJ (Gabby Nimmo/Alice Fofana) presides and remains as a godly presence throughout. Sound (Shadé Joseph) and lighting (Bethany Gupwell) fit perfectly into the action, taking us slickly from one scene to another and the movement is ingeniously directed by Sean Graham while simple costumes (Tara Usher) effectively use minimal alterations and details to change persona. ‘Sweet Like Chocolate Boy’ combines interesting characters, a captivating storyline and engaging language with brilliantly realised, often hilarious interpretations, innovative staging and plenty of garage and jungle to create a uniquely descriptive and unforgettable experience.